Plastic contamination of the natural environment has now reached epidemic levels, with particular concern surrounding tiny ‘microplastic’ particles. How do microplastics affect human health? The amount of plastic in the world’s oceans has long been cause for deep concern. Plastic pollution is a major cause of marine animal deaths and habitat destruction. In recent times, tiny plastic microbeads used in cosmetics began hitting world headlines. They were subsequently banned as a result of their potentially damaging effects in some parts of the world. Now, a new concern has reached public awareness: microplastics. Microplastics comprise of tiny fibres from nylon clothes and other synthetic textiles. They can also come from fragments of larger plastic items that have broken down in the natural environment. Plastic particles smaller than 5 millimetres are generally considered to be microplastic. Some studies have identified plastic particles as small as 10 nanometres (or 0.00001 millimetres). This therefore is one of the major unanswered questions – how small do microplastics actually get? Well, it is likely that microplastics continue breaking down even past 10nm. Plastics are non-biodegradable, so they will probably just keep degrading into even smaller pieces. The smaller the size of the plastic particles, the more likely they are to cross biological barriers (such as cell membranes) and cause tissue damage. How do Microplastics Enter the Environment? When plastics or synthetic textiles get littered, they start to break down. The sun, wind, rain, and other natural factors contribute to this process. These broken-down plastic particles get swept by rain into lakes, rivers, sewers, etc. Eventually, the microplastics will make it into the ocean (or another large body of water). Microplastics have also been found in the air that we breathe. One way that microplastics can get into the air is through our clothing. When cloth fibres come apart from synthetic fabric, they can hang in the air and float along with it. Another way that microplastics enter the environment is through water that passes through your home. In a washing machine, small particles from clothing is rubbed off after every wash. These particles get into your home’s wastewater, which is then released into a wastewater treatment system. 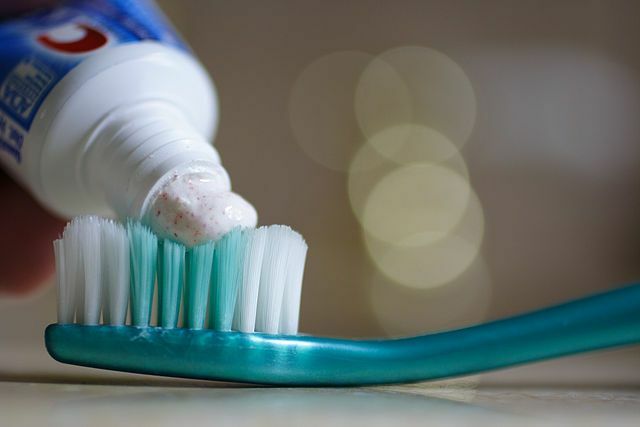 Plastic microbeads from some hygiene and cosmetics products (like body wash) can also get mixed with your home wastewater, which is then also released into a wastewater treatment system. The role of a wastewater treatment plant is to clean wastewater before it gets released back into the environment. Due to their small size, not all microplastics get caught and cleaned out by treatment plants. In this way, microplastics will make it into the environment. Are Microplastics Harmful to Living Things? 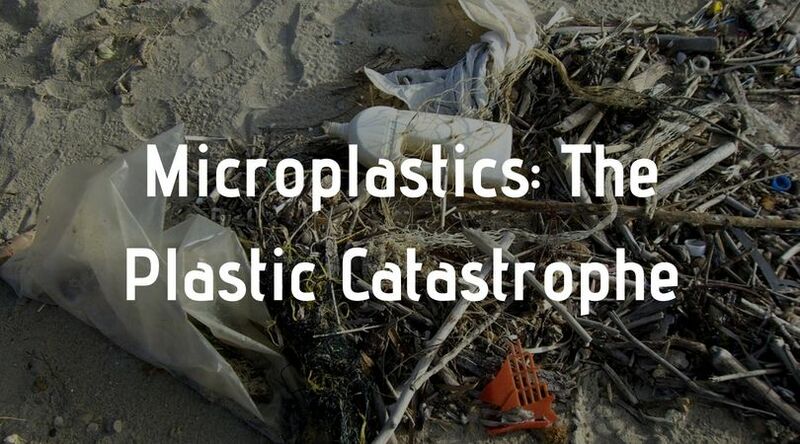 No one really knows for certain if microplastics are actually harmful. This is another one of the ‘unknowns’ in today’s society. Currently, research on this topic is still very limited. Not all studies conclusively found that microplastics were harmful to humans. For example, any microplastic larger than 150 microns, or 0.15 millimetres (the size of fine sand grains) should be able to pass through our body without any issues. The problem occurs when we get to even smaller particles. There is a high likelihood that these microplastic particles could indeed be dangerous to the human body. For example, there is some evidence that microplastics can absorb toxic chemicals and then release them in an animal’s digestive systems. This would obviously be bad for our health. There is also evidence that potentially-toxic plastic nanoparticles may be able to migrate through the intestinal wall during digestion. Whether they then enter the blood stream is not clear, however. Another rather unnerving study demonstrated that nanoplastic particles lodged in the brains of fish affected their behaviour. The study found that plastic particles made fish eat slower and explore their surroundings less. However, there is no evidence right now that nanoplastics penetrate brain tissue in humans, let alone affect behaviour. The health concerns with microplastics are very serious, and more research needs to be done. We do not know enough about the potential health risks of microplastics. In fact, the World Health Organization has recently announced a review into the potential human health impacts of small plastic particles. You can read about it using the link above. How Are Humans Consuming Microplastics? Initial reports of human microplastic consumption focused on seafood. Plastic pollution is rampant in oceans and water bodies. Through the natural environment, these plastics get broken down into smaller pieces. Eventually, they become microplastics. These plastic particles in the marine environment are eaten by plankton, which are then eaten by fish. 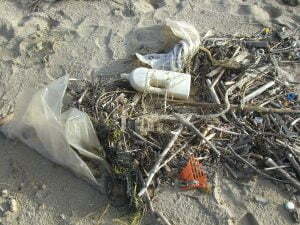 The plastic particles continue to work their way up the food chain until they reach our dinner plates. Mussels are reported to be particularly susceptible to microplastic contamination. However, plastics can also be potentially found in almost any other animal that lives in the ocean, or any other body of water for that matter. 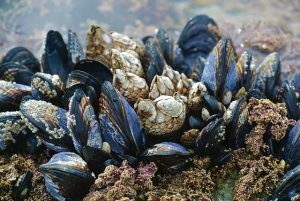 New research published earlier this year has shown that household dust is a more likely source of microplastics than even mussels. According to researchers, 114 pieces of microplastic settle on a dinner plate during the 20 minute duration of a meal, adding up to anywhere between 13,000 and 68,000 pieces per year. And when you breathe in air, you could be breathing in the microscopic plastic particles as well. We already know that microplastics can be found in oceans, lakes, and other water sources. So, what makes us certain that our drinking water is free of toxic plastics? The truth is, we aren’t. In fact, earlier this year, the non-profit journalism organization Orb Media conducted research on microplastics in bottled water. They tested 259 bottles of water bought from 9 different countries. The 11 brands of bottled water tested included big names like Aquafina, Nestle Pure Life, Dasani, Evian, and others. Out of all the 259 bottles tested, 93% contained some sort of microplastic particles. Exactly how much microplastic was there? 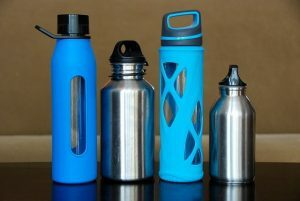 The tests found that for particles that were 100 microns (0.1 millimetres) or larger, there was an average of 10.4 plastic particles per litre of water. That level of microplastics in bottled water was double the level found in tap water (based on a similar study conducted by Orb in 2017). In the study, some even smaller particles were found in the bottled water as well: an average of 314 particles per litre. However, those particles were not all definitively identified as plastic. 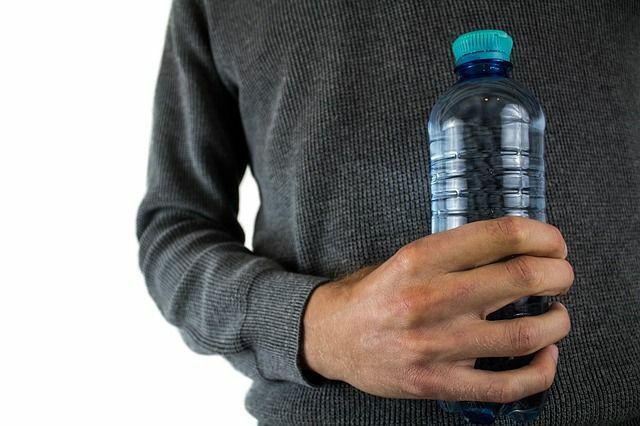 The findings suggest that if you drink one litre of bottled water per day, you could be consuming tens of thousands of microplastic particles each year. I highly recommend you read the report on Orb’s website. It provides great insight and information about microplastics. There isn’t much we can do about microplastics that are already in our air and water. Though an air purifier or water filter may reduce the larger plastic particles (down to a couple of microns), this wouldn’t remove the smaller nanoparticles. However, there is a way to prevent this problem from getting worse in the future: produce and use less plastic. This is where we, as individuals can make a difference by reducing the amount of plastic we use. 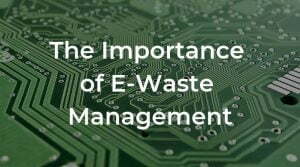 This is particularly important with single-use, disposable plastic products and packaging. There are many ways to reduce the amount of disposable plastic you use. You can cut down on packaged junk food, stop buying bottled water and stop using plastic straws, just to list a few. In addition, for every product made of single-use plastic, there is almost always a reusable alternative. For example, use a reusable water bottle instead of disposable bottled water. 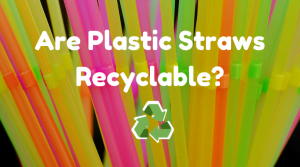 Most items made of disposable plastics are useless to us anyway, and could be easily removed from most of our lives (like plastic drinking straws and plastic bags). Reducing the disposable plastics that we use have two benefits: it reduces the amount of waste plastic going into the environment, and also reduces the amount of plastic you’re exposed to on a daily basis. Consumer Driven Change: Make a Difference! There are alternatives to plastic, but only certain manufacturers and retailers are using them. This means that the responsibility falls on us as consumers to take the lead and reward responsible companies with our business. While doing this, we are punishing those that don’t take environmental concerns seriously by not buying their products or services. Whether the focus should be on changing consumer behaviour or whether there should be a change in the law to force plastic manufacturers to use biodegradable materials is perhaps a debate for another day. In the face of lobbying by the packaging industry, resistance to EU recycling targets by the UK government, and UK supermarkets that hide the scale of their plastic footprint, it’s clear that this is an area where our actions as individuals can make a difference and drive the change that’s so urgently needed. The plastic you use once and throw away today will still be around in hundreds of years. And bits of it may show up in your drinking water, food, and the air you breathe. So ditch bottled water, buy unpackaged fruit and vegetables, persuade your workplace to use a water filter to cut down on bottled water. Take a stand, and leave products with excessive plastic packaging on the shelf. This post was sponsored by Aqua Cure, a water filter and treatment company in the UK. 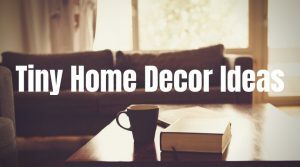 Next PostHow to Make Your Home Cozy and Sustainable: 8 Tips! You say about plastic in oceans as it is a bad something. Micro-plankton uses microplastic in oceans for transportation and it hugely improves their lifes. Fishes prefer to eat micro plastic as it absorb more nutrients than sand or mud. Plastic in oceans is in fact a bad thing. Fish do not prefer to eat microplastics, and microplastics have no nutritional value. In fact, microplastics most likely harm fish and wildlife. Plastic pollution is definitely bad for the ocean. Thanks to your article, I’ve just ordered some metal straws as I use two or three plastic ones every day. Although I have been aware of this ocean filled plastic problem for years, how is it that the global elites are unconcerned? They have recently ensured that there is hardly an object on sale that is not encased in plastic, even totally unnecessary items like tea bags. I wonder where are their own offspring going to reside?